The story: Dazzled by her beauty, he idolized her; so madly in love was he that he wanted to make her life a perpetual garden of delights. And so sprang from the earth the Gardens of Shalimar. The perfume: The story of their boundless love fired the imagination of Jacques Guerlain who, in 1925, created the world’s first oriental fragrance. 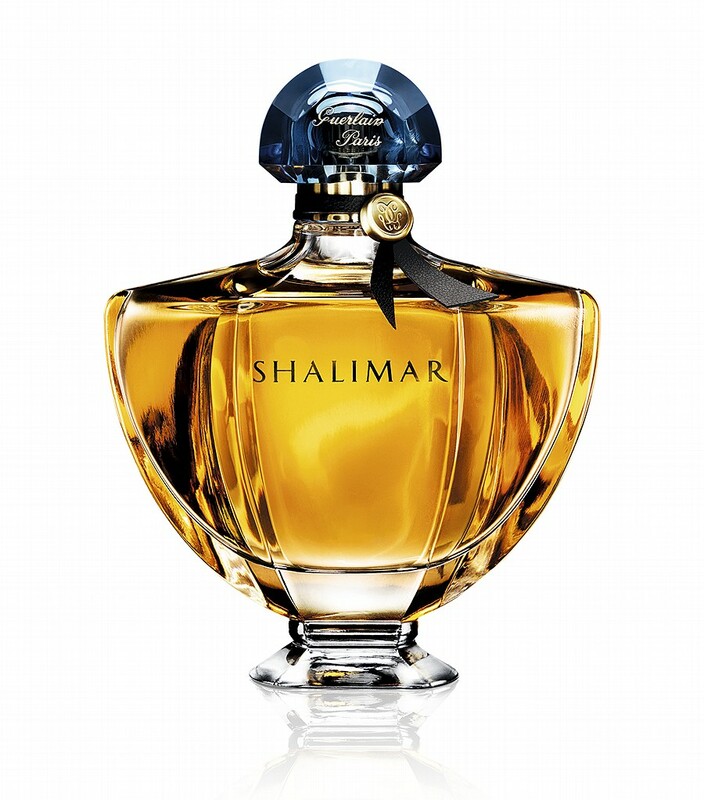 A subtle mix of flowers and sensual amber-woody accents, Shalimar has become the eternal essence of love and radiant femininity. The times: Wildly Guerlain, marvelously classic, Shalimar continues to fascinate young women of today, just as it conquered every generation that came before. The reinvention: To celebrate the 85th anniversary of this iconic fragrance, Jade Jagger has designed a collectors edition flacon. Her rendition is a bottle sculpture, with soft curves juxtaposed against contemporary lines. A blue jewel-like stopper and fine black ribbon add the finishing touch.